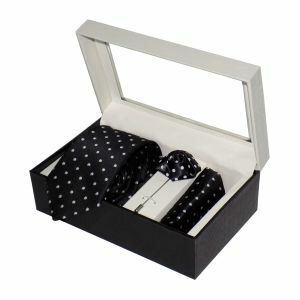 Riyasat -Micro Fibre Men Tie, Cufflink And Pocket Square Gift Set . Riyasat - Micro Fibre Men Tie With Pocket Square Gift Set . Stylish Neck ties for Every Occasion! Formal Mens Ties: These smart formal ties are a must to make an impression on your clients or colleagues. They add up to your masculine persona and give you a dapper look. We have a wide variety of these mens accessories like Victor Genxt Narrow Neck Tie Vic1 (INR 200 - Rs 300). This smooth red tie is sure to make you the centre of attraction. What's more, it comes free of any shipping charges! We also have other choices like Alvaro Stylish Blue Woven Tie, Alvaro Pink Woven Tie, Beautiful Printed Neck Tie etc. Party Mens Ties: These ties are especially crafted to boost up your coolness quotient and make you the life of all parties! You can pick up our Satin Neck Tie. This stylish grey tie gives you a charming look within the affordable price range of Rs 370 Rs 390. Then there is the Alavaro Classic Maroon Woven Tie, Dark Blue Neck Tie etc. All these amazing ties come with the option of Cash on Delivery (COD) for your convenience. Ties for Gifting: We have myriad of mens ties for you to gift your loved ones here at Rediff shopping. To top it all, we have them in interesting combos! Like the Exclusive Designer Tie with Cuff Links (Rs 650-Rs 670) for those who like it the luxurious way! Then there are ties that offer a soft red heart with a Red Neck Tie (Rs 350- Rs 400). There are other array of choices for you to make like Neck Tie with Pure Leather Belt, Two Plain Neck Ties, Stylish Neck Tie with Cufflink and Handkerchief etc. You can get all these ties with free shipping facility! These also provide the option of Cash on Delivery (COD). 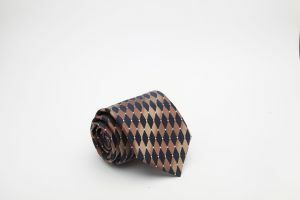 So, buy these trendy mens ties fit for various occasions and get the best deals from shopping.rediff.com!